Artesian2 is the perfect choice for high efficiency and reliability combined with the convenience of self-priming. Molded of corrosion-resistant polypropylene. 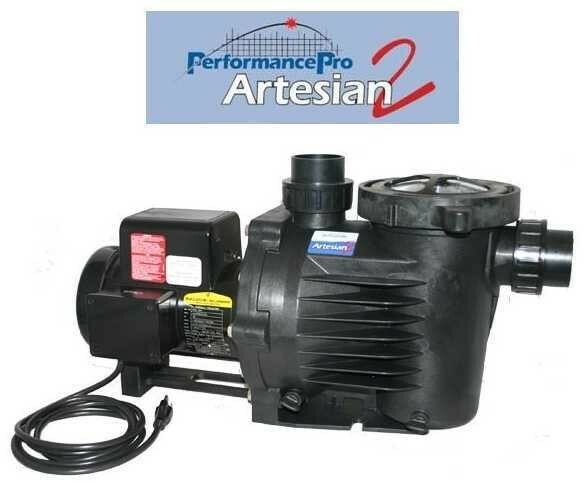 Artesian2 pumps are ideal for applications in which the pump is positioned above the water level. An easy-open Lexan lid provides ready access to the integral strainer pot’s large basket. Out of Pond Use Only! See manual below for hard/direct wiring instructions. Top of the line motors. Totally enclosed for excellent protection and long term reliability. Safety first out of water (external) pumps help protect you from annoying and potentially dangerous oil or electrical leaks.